MOSCOW — The explosion at a supermarket in Russia's second-largest city was a terrorist attack, President Vladimir Putin said Thursday. At least 13 people were injured Wednesday night when an improvised explosive device went off at a storage area for customers' bags at the supermarket in St. Petersburg. Investigators said the device contained 7 ounces of explosives and was rigged with shrapnel to cause more damage. Putin made his comment Thursday at an awards ceremony at the Kremlin for troops who took part in Russia's Syria campaign but did not offer any details. He also said another terrorist attack had been thwarted in St. Petersburg but did not elaborate. Putin has portrayed Russia's operation in Syria as a pre-emptive strike against terrorism at home. He said the threat of attacks at home would have been much worse if Russia had not intervened in Syria. "What would have happened if those thousands (of terrorists) that I have just spoken about, hundreds of them had come back to us, trained and armed," he said in comments to Russian news agencies. Related: What should the West do with fighters returning from Syria, Iraq? Earlier this month, Putin telephoned President Donald Trump to thank him for a CIA tip that helped thwart a series of bombings in St. Petersburg, Putin's hometown. The Federal Security Service said seven suspects linked to the Islamic State group were arrested in connection to the alleged plot. The Kremlin said the suspects had planned to bomb Kazan Cathedral and other crowded sites. In April, a suicide bombing in St. Petersburg's subway left 16 people dead and wounded more than 50. 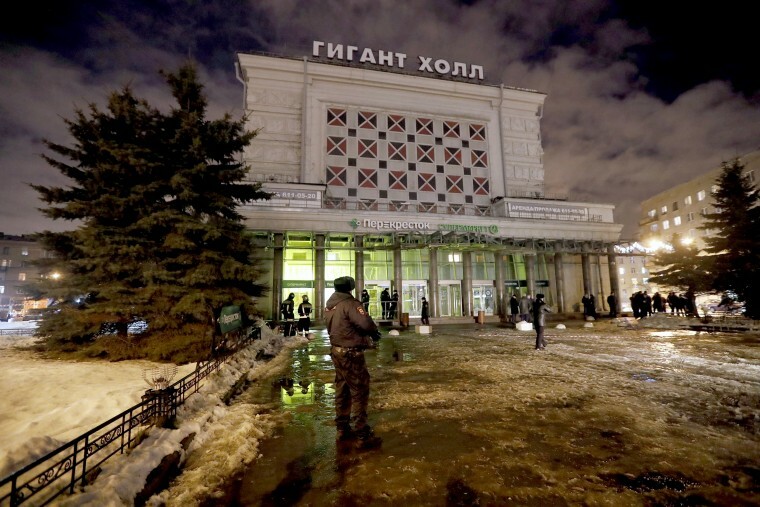 Russian authorities identified the bomber as a 22-year old Kyrgyz-born Russian national.